If you search for “Botox in Singapore”, you will come across a large number of clinics with prices ranging from $100 to nearly $2000. There are a few reasons for this cost discrepancy, and they are vital to understanding in order to choose the right doctor for your procedure. Botox pricing in Singapore is determined by the area of the face in which it is to be applied. Wrinkles in different areas are controlled by different muscle groups and must be treated individually. One area of treatment can cost anywhere from $100 to $1800. Many first-time patients are unsure which areas of their face require Botox. Doctors can help guide patients through the most important areas to consider in the first session. If you are planning on getting more than one area done, many clinics offer packages of grouped areas such as upper or lower face that offer a better value than if you paid for multiple separate areas. 2.1. There are three brands of Botox approved by the HSA in Singapore. However, even within the same area, there is a wide range of prices. This depends primarily on three factors: the doctor’s experience, brand, and the number of units required. Much like visiting a hair salon, being treated by an experienced and well-regarded doctor will cost much more than treatment from a trainee or new doctor. In order to ensure their own safety and the most natural-looking results, patients are willing to pay top dollar for the best doctor. An experienced doctor will have honed their technique over many years and many procedures, so they are worth the higher price tag. A newer doctor still needs to build up their reputation and will charge a lower fee. Botox injections can sometimes have unintended complications such as bruising, drooping eyelids or lips, and lopsided smiles. While these mistakes tend to fade within a month, many patients choose to pay higher prices for a more experienced and reliable doctor to avoid these negative effects. There is the original Botox brand as well as Dysport and Xeomin. Dysport is the least expensive brand by a large margin, followed by Xeomin and the slightly more expensive brand name Botox. Xeomin and Botox both take effect gradually over time, while Dysport begins to show effects much sooner after injection. The efficacy of the units also varies between brands. Xeomin and Botox are the same unit-for-unit, but it takes 2.5 to 4 units of Dysport to match one unit of the other brands. However, even taking this difference into account, treatment with Dysport is still less expensive. Singapore’s health portal Ubiqi Health made very useful guide about Botox use and side effects -https://ubiqihealth.com/a-guide-to-botox-in-singapore-use-side-effects-faqs-myths/. There are other, cheaper brands that have yet to be approved by the HSA in use in Singapore, however, these brands are not recommended due to their lack of long-term efficacy and safety studies. Each area requires a different number of units of Botox for effective results. Treatment in the jaw muscles requires the most units, so it is often the most expensive area to have done. The range in prices within an area is due to patients’ unique needs. Some people require more units than others to achieve the proper results. This is why a consultation with a reliable doctor is required; they will be able to assess you individually and determine how many units you should need. While it might be tempting to simply find the most affordable doctor, the above factors are important to include in your decision. Unfortunately, that information is not usually provided by clinics so the best way to find a reliable doctor is through referrals from trusted family or friends or a recommendation from other doctors. You should arrange for a consultation visit to make sure you are comfortable with your doctor, and to see past patient’s results to get an idea of what you can expect. You should discuss brands with your doctor and make sure they are using a safe, reliable, HSA-approved brand. You should also enquire about post-procedure review sessions. 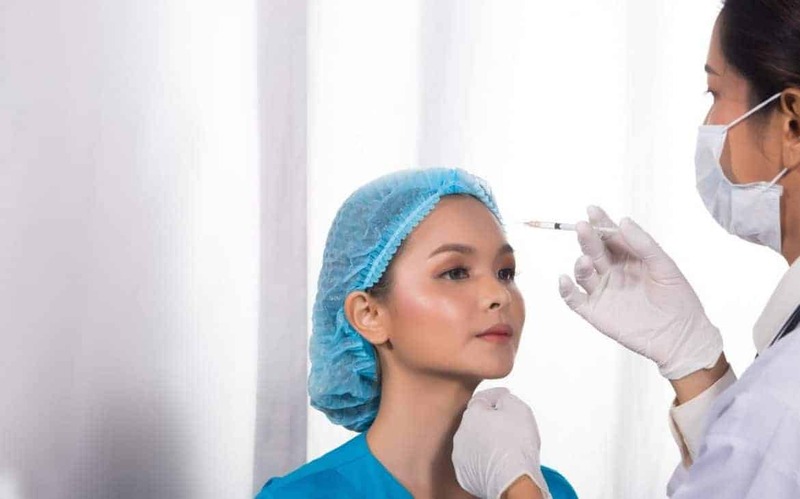 The effects of Botox typically begin showing after a few days, but a review about two weeks after the procedure allows your doctor to determine if any touch-ups are needed to achieve the best results. Sometimes these review sessions and any additional units used in the touch-up is included in your initial cost, but you should check that this is the case beforehand. Always be safe when choosing a Botox provider. Be wary of beauticians who might practice illegal and unsafe procedures at their spas or even at their own homes. Make sure to only use HSA-approved brands, and check that your provider is experienced and trustworthy. You can check Singapore Medical Council Guidelines on Aesthetic Practices for Doctors for more information. Always do your research to find the best doctor and clinic for your procedure to ensure the safest and best results possible.